Placing an emphasis on listening and field recording in order to better understand our natural environment, World Listening Day takes place worldwide on Saturday July 18th. 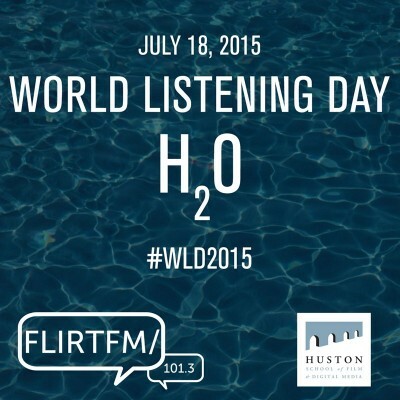 Flirt FM 101.3, in association with The Huston School of Film & Digital Media invited people to record and submit two minutes of sound on the topic of H20, the official theme of this year’s World Listening Day. Tune in to our 60-minute radio programme on Flirt FM 101.3 and www.flirtfm.ie at 2pm on 18th July to hear an acoustic snapshot of the contemporary Irish soundscape.